Established in 2009, 247Moneybox is an innovative next-generation finance company based in central London. The lender is an FCA authorised, online provider of small, short-term unsecured consumer credit operating in the UK non-bank finance industry. 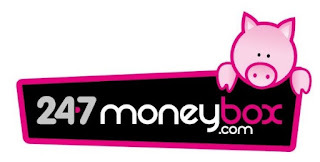 Since its inception 247Moneybox has issued over a million loans. According to the ratings on Trust pilot, 88% of their customers gave a positive feedback about the services they were offered from 566 reviews. The lender offers loans from £80 to £800 to repaid on your next payday. 247Moneybox are committed to responsible lending. You can request between £80 and £200 the first time you apply for a loan, although a typical first loan is £80. If you use the service responsibly the lender may give you the flexibility to apply for more cash in the future, should you need it, up to a maximum of £800. You can also make additional repayments whenever you want to reduce the amount you owe and save yourself the interest. Agree to a credit check: a check will be carried out on you but you do not need a perfectly clean credit file to be approved. Many factors are taken into account. Payout is same day direct to your bank account. Check their website for the latest funding times. Repayment is automatic from your debit card on your next payday. You can also login to your online account and repay early or call 0207 183 8078. Since 247Moneybox reports loan information to credit reference agencies, missing a payment or simply not paying in full will have consequences and may affect your credit rating. It will eventually make it trickier for you to access credit in the future. Your information might also be passed on to debt collection agencies or in the worst case, the company might start legal proceedings to recover the due amount. Interest will continue to be added to the amount of credit at the contractual rate on a daily basis until such time as you have repaid what you owe (subject to the limit in the next paragraph). 60 days after any later date we allow you to repay your outstanding balance; or - the Total amount of interest and charges you have accrued equalling 100% of the amount of credit. Firstly i applied day 1 for £200. Told me gone through beem accepted.... day 2, nothing. Email them and ask to 100% cancel my account and application. Receive a response saying 'are you sure? We can have money in your acc right away". I INSTANTLY reply "yes please 100% cancel my application and my account effect immediately". I then hear nothing from them till day 3. I am checking my internet banking and see +£80moneybox247 credit. I instantly email them and say why is there £80 when i applied for £200 and why has this been deposited after i confirmed for my application to be cancelled. Completely unauthorised. Took a further 2 days for a pretty rude response. They took the £80 back and then took a further 2 emails to the company and a further 2 days for a confirmation that my account is closed. All in all, 7 days worth of me emailing constantly, being lucky to notice a credit of a random amount by them, and resilience of wanting to ensure it is closed for NOTHING.